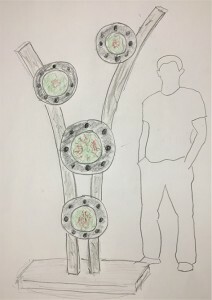 Erwin Timmers’ sketch of his sculpture for Foggy Bottom exibit. Arts in Foggy Bottom‘s sixth Outdoor Sculpture Biennial, co-curated by renowned DC artists Helen Frederick and Peter Winant, gives you the opportunity to see this unique neighborhood through the eyes of 15 emerging and established artists. WGS’ Erwin Timmers is one of the artists invited to the Biennial – and we catch up with him as he creates a new work to be installed near the Watergate complex. 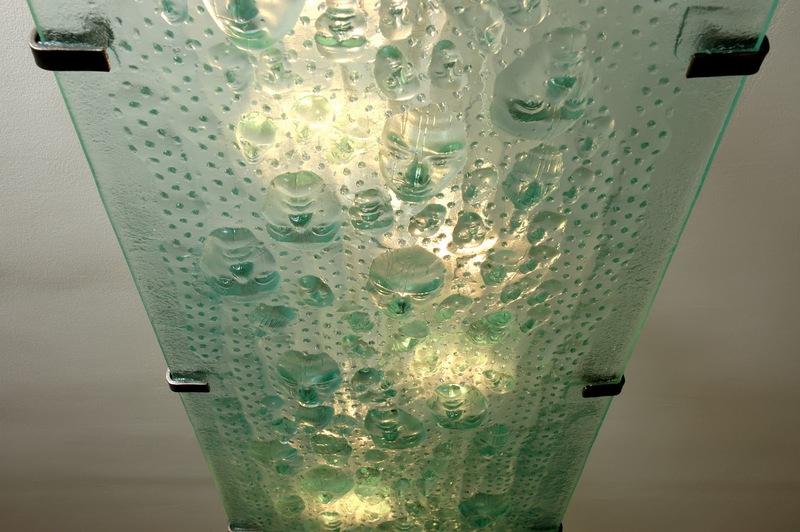 Erwin Timmers casts with recycled glass to create the sculpture inset portals. The Foggy Bottom site is in the shadow of Watergate! All sculptures will be displayed in front of private homes during this free, six-month show. Absence & Presence runs from April 28th through October 27, 2018. Visitors are invited to tour the exhibition at their convenience throughout the day. There is no admission fee. 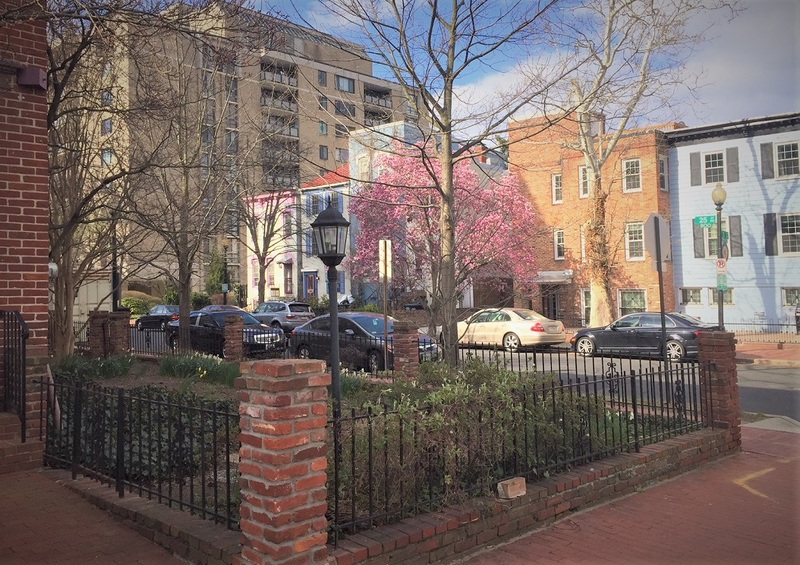 The exhibition is presented on private properties between 24th-26th Streets NW and H-K Streets NW, and is accessible from the Foggy Bottom-George Washington University Metro stop. Glass Sheds Light On the New Year! In honor of the regulations that phase out incandescent light bulbs starting in 2014, photographer Pete & Alison Duvall had a cast glass light fixture for their home in Silver Spring, MD. In 2007, President George W. Bush signed into law an energy bill that placed stringent efficiency requirements on ordinary incandescent bulbs in an attempt to have them completely eliminated by 2014. The law phased out 100-watt and 75-watt incandescent bulbs in 2013. As artists that depend on light and its transmission, the photographers worked with artist Erwin Timmers to get every kind of light bulb they could referenced in their ceiling mounted glass artwork. Inspired by a commissioned ceiling mounted artwork that Michael Janis did in 2007 for a Washington, DC collector. The couple that commissioned the work had limited space in their apartment, and felt that the creating an artwork piece mounted on the that diffused light would be a crossover of art and function. In the earlier suspended artwork panel, faces look down from a textured surface. Pete Duvall noted that the light source for the new artwork piece is from energy efficient LED bulbs. 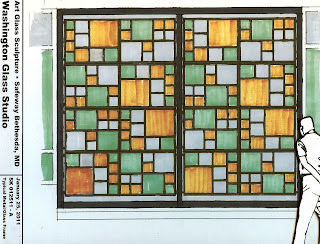 Original cast glass panel by Michael Janis – Photo by Pete Duvall. Like a finely cut diamond, there are many sides to our Mr. Timmers. 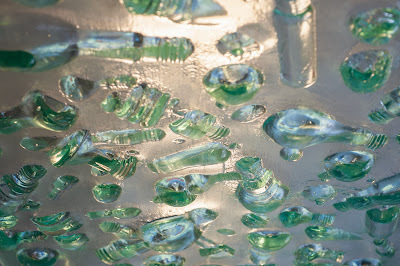 Come hear eco-glass artist Erwin Timmers discuss his work. Thoughtful and ingenious, Erwin’ sculpture calls attention to contemporary issues through a creative re-engineering of often-overlooked forms and concepts, often focusing on industrial salvage and recycling. In the opinion of many, he’s also one of the “earliest” green artists on the planet. The Smith Center for Healing and the Arts will have a special exhibit and fund raising benefit. 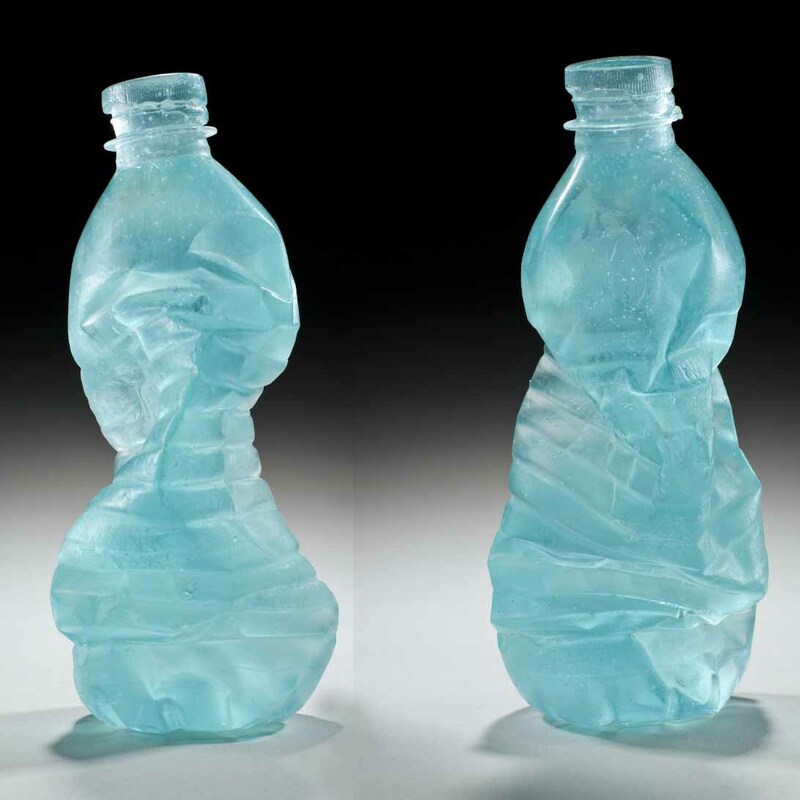 Titled ‘Alchemical Vessels‘, this initiative will feature the work of 125 artists, selected by 16 invited curators, to engage in a community dialogue on healing and transformation through the arts. 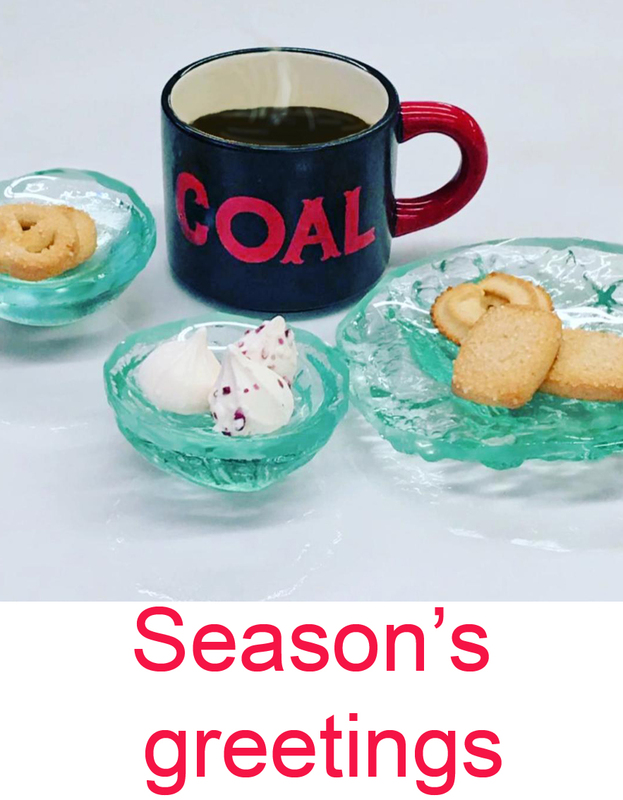 Each artist has transformed a provided ceramic bowl using their own personal aesthetic and medium, drawing inspiration from the bowl as a place of holding, open community, a circle of care, sacred space, nourishment, and even the alchemical vessel. 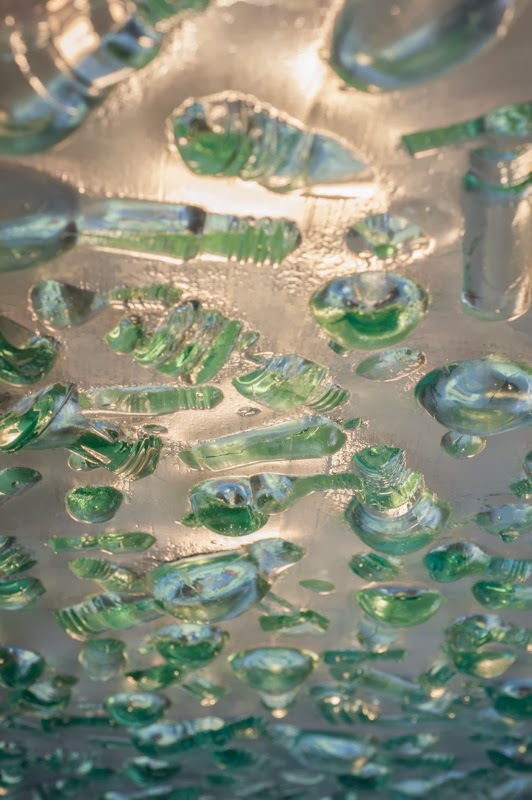 Washington Glass School’s Co-Director has created a work using his signature cast recycled glass. In honor of Earth Day, we are posting about his work in the upcoming show. 100% of the ticket sale proceeds will go to support Smith Center’s life-enhancing work and programs for people living with and recovering from cancer. Benefit tickets $125: 125 Benefit tickets will be sold, and each ticket holder at this level will be given the opportunity to select a piece of art. Priority will be given by the order in which the tickets were purchased—so the first to buy a ticket will be awarded first pick of the 125 works, and so on. All 125 works will remain in the show until after the closing of the exhibition on June 7, at which time the new owners can pick them up. Supporter ticket: $50: This price level is good for entrance to the Benefit only. Ticket holders at this level do not get to keep a piece of art. If you have trouble purchasing tickets, please call 202.483.8600 or email them at outreach@smithcenter.org. As part of the ongoing series titled ” The Process” that documents the methodology of an artist or technique – the work of Erwin Timmers is the feature of today’s pictorial. 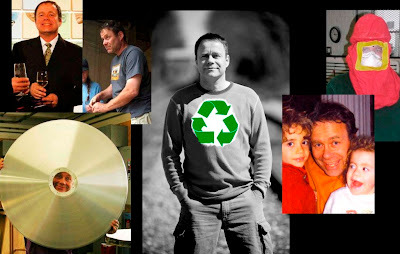 Eco-artist Erwin Timmers creates artwork with environmental themes, and he works with materials that are diverted from the waste stream. As he prepares for the upcoming Smithsonian Craft Show, he invited us to have a look at how he starts the casting process as he creates his beautiful glass sculptures. 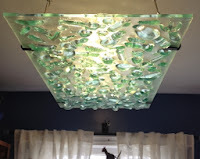 Working within his concepts of sustainable design and art, Erwin sourced glass from the US Probate Courthouse, in Greenbelt, MD for his artwork that was slated to end up in the trash dump. Using plastic bottles cleared from the Anacostia River watershed (of which there was plenty to choose from), Erwin coats the bottles with a plaster/silica coating. 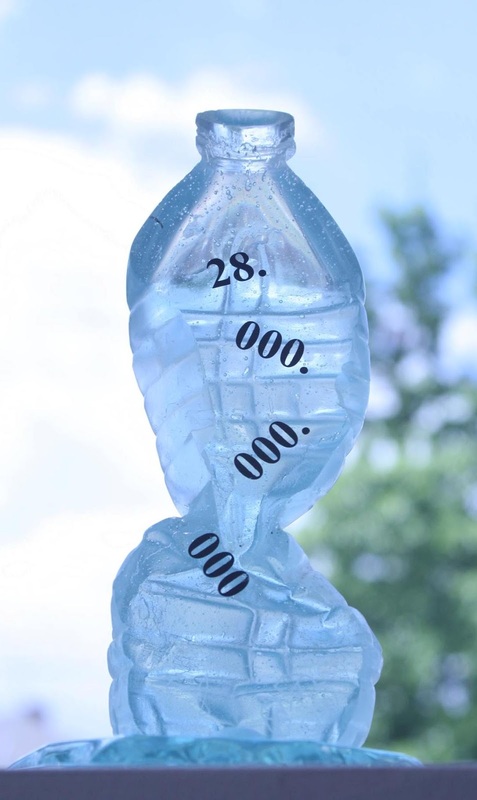 Erwin then fires the molds upside down in the kiln, melting out the plastic bottles. Erwin extracts the remains of the plastic bottles from the molds. 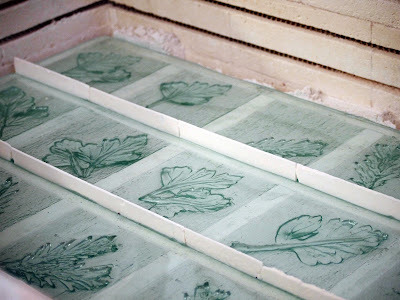 Erwin then takes the cleaned molds and sets them in a bed of sand inside the glass kiln. Erwin prepares flower pots act as reservoirs to hold the recycled tempered glass during the firing process. Erwin loads the cleaned glass into the reservoirs and sets the kiln. After the firing, the glass is divested from the plaster and polished. Look for Erwin’s artwork at the Smithsonian Craft Fair – April 19-22, 2012. Jack Johnson’s got the whole (glass) world, in his hands. 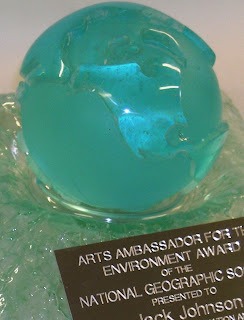 This past summer we had a blog posting about National Geographic‘s newly created “Arts Ambassador for the Environment Award” – given to entertainers that are leaders in environmental and cultural conservation. 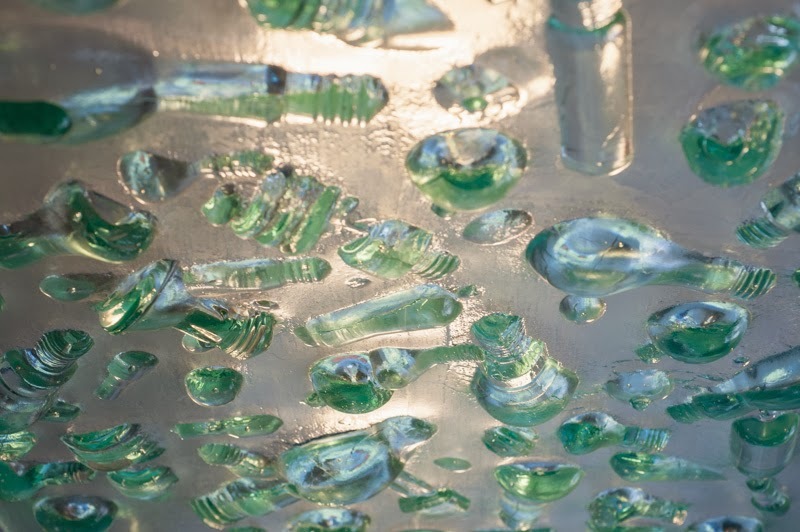 The award was designed and made by the Washington Glass Studio from recycled glass. 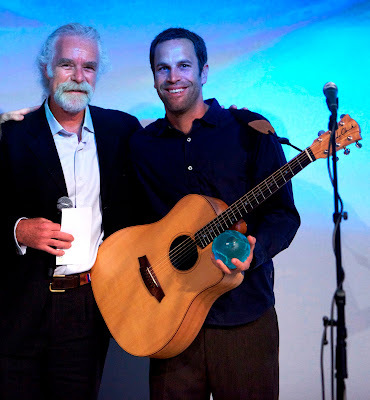 The winner for the inaugural award was singer Jack Johnson. We just received a photo of Jack holding his award. The creation of the National Geographic Society award was covered in the first of the series called “The Process“. Click HERE to jump to the posting of how the recycled glass award was made using the “lost wax” process. Earlier posts on the Washington Glass School Blog featured the design and fabrication of Safeway supermaket’s first public art project – located here in Bethesda and created by the Washington Glass Studio. Installation of the public artwork has begun. 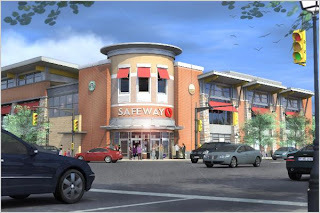 The cast glass panels were made from recycled glass taken from the original supermarket during the demolition phase, and the salvaged glass was cast in a bas-relief method to create translucent panels that referenced fresh herbs – perfect for a new LEED Certified building that would house the trendy Safeway supermarket. Erwin Timmers installs the cast glass & steel panels. 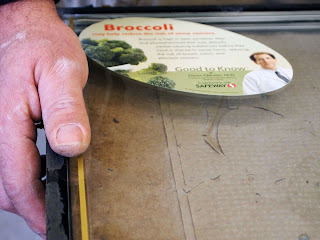 Evan Morgan affixes the glass panels to the steel framework. Interior view of the artwork – looking out towards Bradley Ave. Bethesda, MD. The concept of the panels was to have the artwork allow openings to allow the interior and exterior blur – approx 25% of each building bay is open to allow air flow. 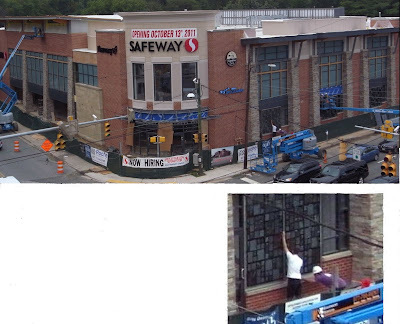 Roche Constructors are the builders of the project – and they have a Safeway webcam. 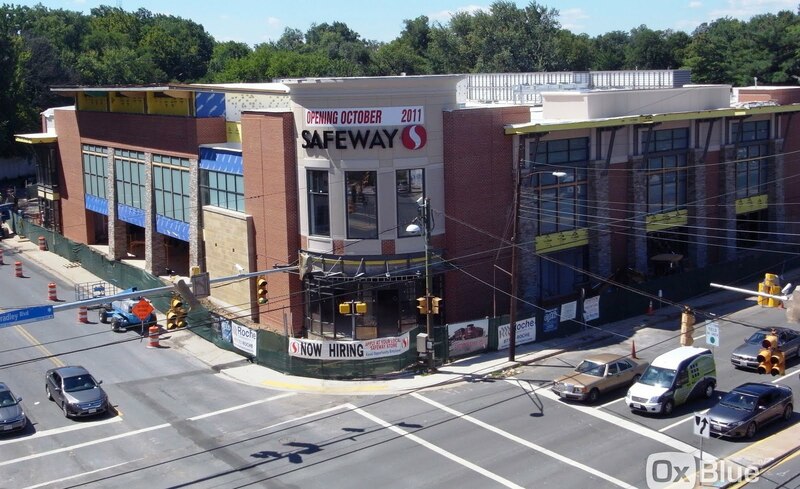 Click on the link and at the top is a time-lapse feature that allows one to see the project’s demo-to-current construction status. Click HERE to jump to the Roche webcam site. UPDATE: Click HERE to jump to finished project images. >Readers of the WGS Blog are familiar with the Public Art Project currently underway for Safeway Supermarket’s new LEED Certified building in Bethesda, MD. Construction of the steel framework is underway & the kilns have been firing nonstop to make the “herb-leaf” inspired bas-relief kilnformed casting. Layout sketch of a typical architectural bay. 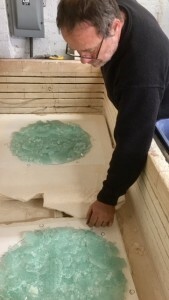 Erwin Timmers removes the kilnfused glass from the molds. Erwin check the glass for evenness of form and to make sure the panels will lay flat within the steel framework. We will post other photos of the process soon! UPDATE: Click HERE to jump to photos of finished project.